Everything you need to know about getting started with your Yoga practice. We have a large variety of classes, for beginners, intermediate and advanced. Find the class that suits you. See our class schedule. It couldn't be easier to book online. Welcome to Himalaya Yoga Valley Centre Cork. We offer a wide variety of yoga classes to suit absolutely everybody. 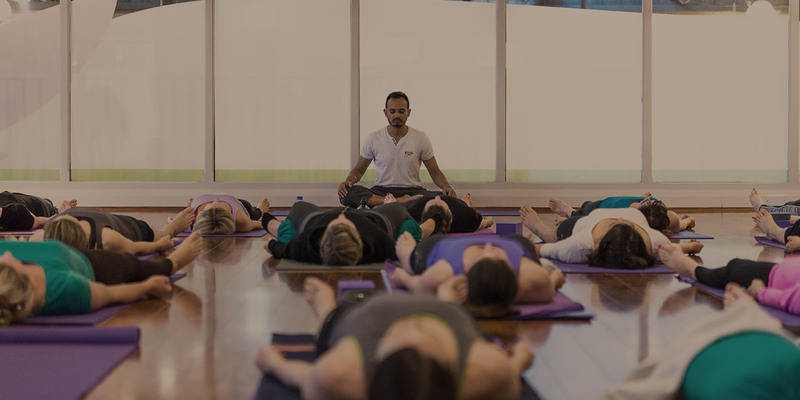 If you have just started practicing yoga, have an established or advanced practice or if you are considering starting yoga please join us for the highest quality yoga classes taught by expert teachers. Yoga from the source for everybody! We have over a decade of experience in the field of yoga education and we have seen thousands of students attend our schools around the world. Our school has graduated over 500 trainees from our world renowned Teacher Training Course. All of the teachers at our centre are trained to the highest standards by expert teacher and school Director Yogacharya Lalit Kumar. Fun Salutations Masterclass with Lisa Fahy! Ashtanga Yoga Weekend with Nita Miralle and Michael Schabort! I started attending Himalaya Yoga Valley Cork in 2013 after moving to Ireland from the United States. Immediately I was met with a cozy place to do my practice as well as a sense of community and belonging. Through the guidance of many extraordinary teachers my practice both physically and spiritually has flourished. The studio has helped improve all aspects of my life from alleviating my struggles with stress and worry through my breathe to developing greater patience in the world around me through my asanas. Be it on the golf course or in the office the teachings of HYVC have transformed me. In finding Himalaya Yoga Valley Cork I have also found a greater version of myself. I attended my first class with the amazing Lisa Fahy and for the first time in 3.5 years I got a full nights sleep. Within a few weeks of attending restorative yoga classes my sleep pattern turned around completely. I began to notice profound changes going on with my own mind, how I viewed life, feelings & emotions in general about everything in my life. The mental benefits that came from the practice were so profound that I have not stopped since and now it’s just part of my everyday life. The physical changes have also been amazing but I always consider this a side effect. You cannot pay for the inner peace and calmness this practice brings you. We have been running Chair Yoga classes every Tuesday from 1-2pm in our offices, and it’s a huge success. It not only improves flexibility but also improves our mood, decreases stress and allows us to reconnect with our breath. We work in a very busy stressful environment and this hour of yoga combined with stretching and meditation is extremely important for us to allow us to concentrate and carry on with our day. It has been noted that we are much more productive as a result! Our teacher Anca is absolutely fantastic – one of the best I have had. She is so gentle and calm and she creates such a lovely atmosphere when she walks into the room. We are very lucky to have her as our teacher.